Arrowheads definitely please.. how can you do leader lines etc without changable arrowheads?? Actually, I think that line start and finish symbols (not just arrow heads) should be implemented in the same way as in Microsoft Visio where you can select what appears at the start and end of a line. A lot of diagrams call for symbols (ie an open circle) at the start of the line. Others call for crow feet, diamonds as well as filled in/outline arrow heads Also, the lines should be able to be attached to a shape and move with that shape when the shape is re-positioned. If you REALLY want to up the ante then it should be possible to edit/add to the list of symbols by including your own designs. If this sort of functionality can be implemented then Designer would double its usefulness as I can then drop using all the other drawing packages I have to use and only use Affinity Designer. I'm a Technical Illustrator and use lines with arrowheads on every page of work. It's a must have for me. Can't jump ship until AD has them. Line ending shapes are about the only thing I REALLY find lacking in this superb tool. Ronnie's arrow set works OK but I've noticed some strange artifacts with the line ends that I can't seem to get rid of. The lack of this feature truly ruins what would otherwise be hands-down the best illustration tool out there. I have used Corel Draw for years and years. Have tried Adobe Illustrator, YUUUCK!!! But I have fallen in LOVE with Affinity Designer for MacOS!!! I use vector illustration software quite a bit in, believe it or not, construction management and estimating. Never know when I have to create my own plans details, or illustrate an existing condition in the field. BUT...line/curve arrows are the cornerstone of Designer's purpose in my life, and they're missing!! From what I can tell, in spite of this frequent and long lived request from many others before me, they've been missing since inception. 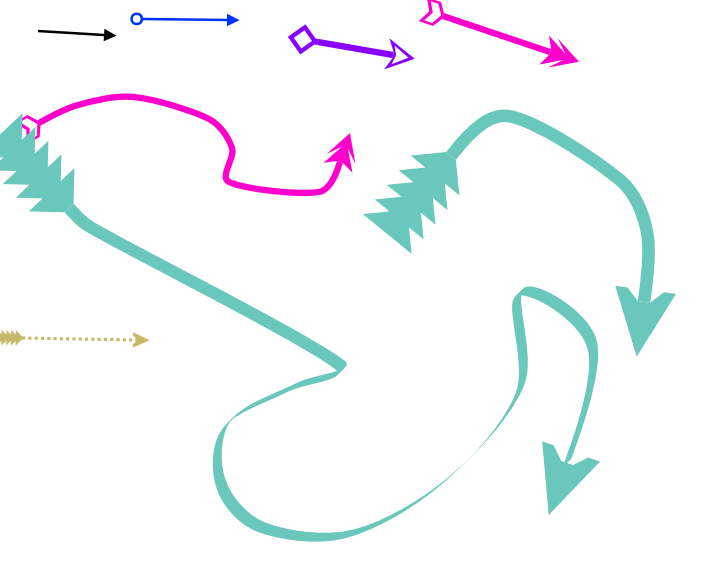 Every time I need to make a drawing, I have to fumble around with the arrow shape tool. AFFINITY...PLEASE ADD ARROW HEADS TO LINES/CURVES!!!!!!!!!!!!!!! While you're at it, dimension lines, with a scaling feature would be a great Christmas present for us this year. If you take a peak at BluBeam Revu, you will find some great tools for the construction industry. I'd be willing to pay (a reasonable price, i.e. $20 to $50) for a Designer Construction Add-On pack that will add scalable dimension, area, volume, and perimeter tools. Hi! I'm also adding my voice for Arrow Heads for lines and curves, this is really a must-have feature for affinity products. Adding my voice to the need for even a basic implementation of arrowheads, as it stands even powerpoint is more effective! It's pretty clear Affinity are not interested in those of us who require such a feature for technical/scientific drawings, and instead the focus is on more artistic outputs. Sadly the only real option is to leave bad reviews on the App Store and move on, unfortunately they've already got our money. The only way companies will listen is if it begins to affect their bottom line. Anyone have any good recommendations for alternatives? Anyone have any good recommendations for alternatives? Actually Serif have/had a prog called Draw plus which support arrowheads. ...and most can be created with the arrow shape and all can be created in Affinity apps and more besides and applied as brushes. Note the scrollbar near the bottom of the screenshot. Those 20 heads (most of which are actually tails!) represent fewer than half of the choices available in DrawPlus. A bunch of software offers to use/reuse these until the Affinity products offer these themself. 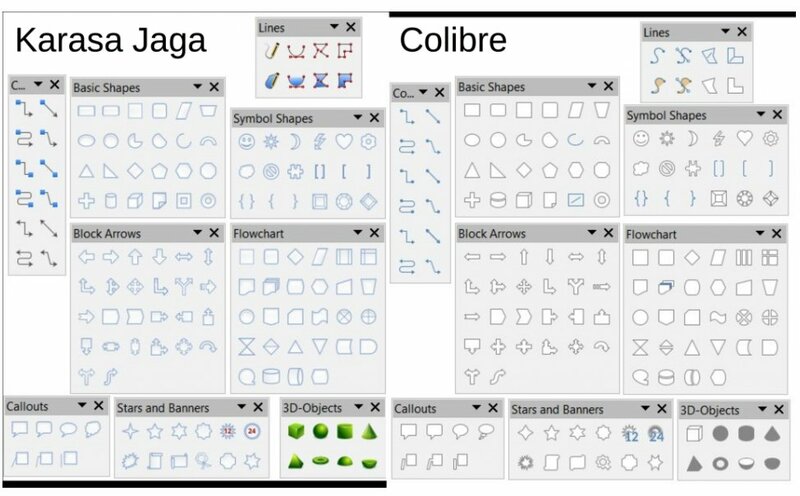 The example the free LibreOffice Suite (Draw, Impress ... etc.) offers a bunch of those. Further beside graphics software like LO Draw or Inkscape, most presentation software like Powerpoint, Keynote, Impress etc. also do offer different arrowheads and arrow connectors for drawing diagrams and the like. Maybe it will go right, maybe it will go wrong. Matt said that's something he is going to work on. Wrong answer. We’ll get cat's paws together with a scratch on the index finger. If time proves you right, then there is nothing else to say, is there? Maybe this thread can be put to bed now that Arrowheads are in the latest Designer Beta! Not yet , only in the Mac version. Mac has always been the 'favoured son' of Affinity - (perhaps) understandably so as the 'Mac market' was a market that Serif had never had and which they had to capture in order for Affinity to succeed, But that still doesn't stop it rankling at times with those Windows users who have supported them over the years, when the Mac users treated Serif as a 'joke'.